Winter has offered us a welcomed break from the busy growing season, but there is always work to be done. This time of the year is planning time, when we dream about what next season will be like. We have envisioned a wonderful new Vegetable CSA to add to our grass-fed beef offering. We also have plans for a farm stand, starting in June. A third offering will be pastured pork in the fall. That’s a lot of planning and we are excited! Some of you have driven past our new barn and wondered if there are any cows in there. Yes sirree, they are all in there; enjoying the shelter, open air, and dry hay. Our new barn helps us fulfill our holistic and all natural approach to farming. While the barn is an open shelter for our cows it also helps us renew the land. How? Over the course of the winter, we provide bedding for the cows. This grows several feet thick; a sort of lasagna, layered with straw, leaves, and manure, that only a farmer could love! Soon the manure beds will be high enough, so you’ll see the cows heads above the wall, from the road. We then compost it and spread it on our land for the best all natural nutrient rich fertilizer our grass and vegetables could ever want. We have a secret to share. We also insert kernels of grain into the manure beds. Why? When the cows leave the barn after the winter months, our new piglets will go in the barn, and aerate the manure beds looking for those kernels we buried there layer by layer! They will help turn the pack into a nutrient rich compost which will be used to grow our vegetables. We thank the US Department of Ag, the Amish builders, and local farmers for their help in completing this project. Where will the pigs go after they make our compost? They will forage in our woods and pastures for roots and nuts. This is what pigs likes to do. We will give you regular updates on their progress. C.S.A. stands for Community Supported Agriculture. Individuals who sign up, pay for their vegetables in advance, and come to the farm once a week from June through October to pickup a basket with a variety of whatever vegetables are in season at that time. Learn more about starting a Vegetable CSA subscription. 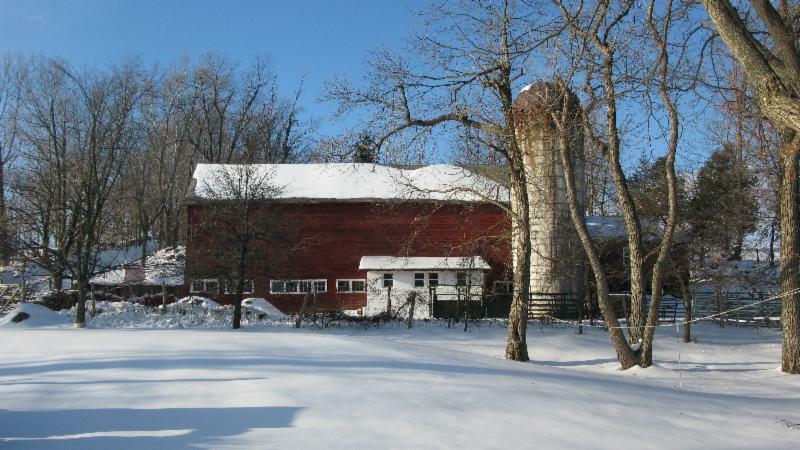 Vernon Valley Farm raises grass-fed beef, pastured pork, and naturally grown vegetables in Vernon, NJ. We strive to produce fresh, healthy, and flavorful food for our community. We welcome visitors and seek to mentor others about farming while striving to be 100% transparent with our practices. Vernon Valley Farm © 2014. All Rights Reserved.